Autism is a neurological and behavioral condition that begins to effect patients as early as three years old. In Canada, autism affects roughly 1 in 88 children. This number is a 78 percent increase from the year 2006. There is currently no cure for autism, but there is extensive research taking place globally for advanced treatments. Help your loved ones with the treatments through the Disability Tax Credit for Autism. Autism is a neurological condition that begins to effect behavior in early childhood. Autistic individuals typically have difficulty relaying and receiving emotions. Patients are often viewed as socially awkward and have difficulty with speech and communication. The need for repetition, whether it is a specific behavioral patter or ritual, is another common feature in patients suffering from autism. Boys are 4 times more likely to be autistic then girls—This can be attributed to genetics. The chromosomal makeup of boys makes them more susceptible to autism. Autism is a “spectrum disorder”—Patients can range greatly in their social, behavioral, and neurological skills. Treatments, but no “cure”—There are currently many ways to treat autism. Therapies such as bio-medical, sensory, and even art therapy have been shown to be effective in treating autism. 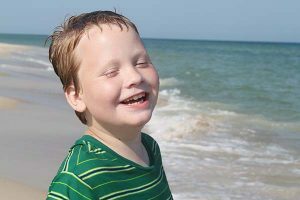 Though there are many and, in some cases, extreme negative aspects to autism, some patients have demonstrated increased in abilities in other areas. Some of these advanced capabilities include perceptual motor skills, reasoning skills, drawing, and music skills. There is a great deal of variance within patients as far as capabilities are concerned. Some patients are unable to communicate at all and respond minimally to stimuli. Others have an above average intelligence, communicate, and go on to live productive lives. The nature of autism is still being understood. Autism has always been a part of human history. Some believe that there has been an increase in cases of autism due to vaccinations. Others claim that autism rates are on the rise due to a better ability to diagnose the condition. The condition did not receive its own specific name until the 1960s. As scientists gather data and continue to do research on autism, a cure may be possible in the future. Currently, however, there is no cure, due largely to the fact that scientists are unaware as to the cause of the condition. Treatments vary due to the nature of the condition being a spectrum disorder. What works for one patient may have little to no effect on another. Some good news, patients who suffer from autism may qualify for assistance in the form of Disability Tax Credit for Autism. Sensory—A type of therapy that changes the stimulus and environment to aid in increasing sensory response. Disability Tax Credit for Autism —Autism patients may qualify for disability tax credit from the government of Canada. This credit could be used to assist patients with any therapies or medications that may be required. Autism is still in the process of being understood. However, the medical community has come a long way in diagnosing and treating the condition in just a few decades. With early diagnosis and the use of a variety of therapies and treatments, patients can live normal and happy lives. Read our Child Disability Tax Credit Guide to get more information. If a family member is diagnosed with autism, give us a call today. Together, we will work your disability tax credit to help with special care expenses.